Pretty Poached Salmon with a flavorful Cucumber-Dill Sauce – the perfect make ahead entrée for a spring (or summer!) luncheon or dinner party. I love serving salmon when entertaining – most of our friends and family like it, plus it’s very versatile, easy to prepare, and super delicious. 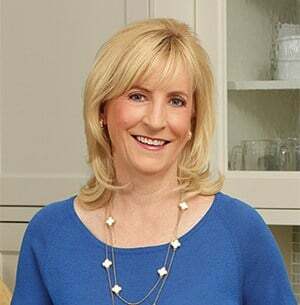 I have several recipes (including this one) where you can prepare it ahead of time, which I love because then I can enjoy my own party! 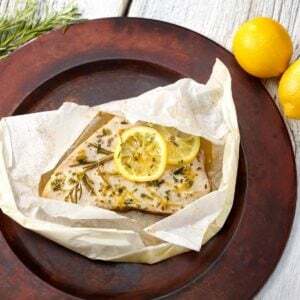 In this recipe, a salmon fillet is topped with sliced lemons, onions, peppercorns and bay leaves, wrapped in cheesecloth, and then baked in white wine. The result is a light, flavorful, moist piece of salmon. I prefer oven poached salmon (vs. poaching on the cooktop) because I think it’s easier to control the temperature, and therefore you’re less likely to overcook it. 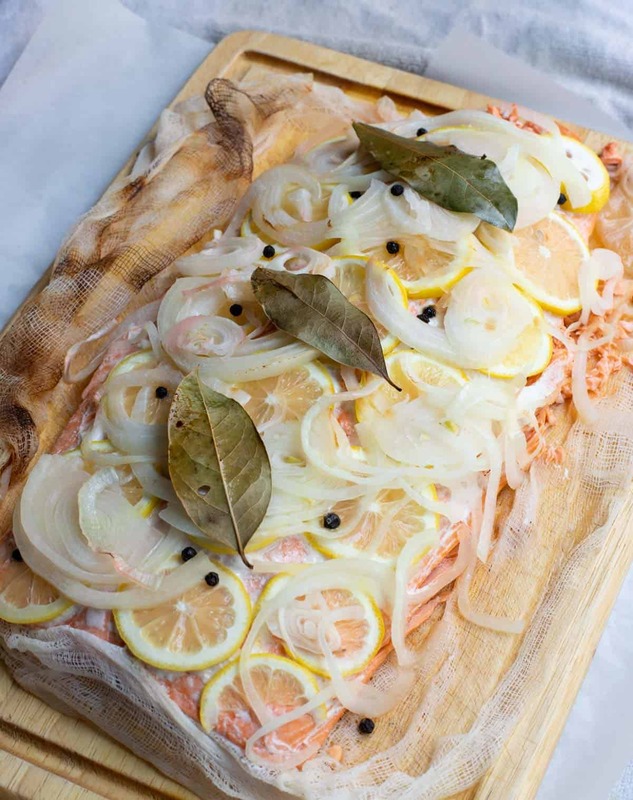 To serve the cooked salmon, after refrigerating I remove the cheesecloth and the seasonings, setting aside the lemon slices – to place on top of the salmon as a garnish. So pretty, so scrumptious – it pairs perfectly with this amazing sauce of grated cucumber, mayonnaise, sour cream, Dijon mustard, lemon juice, dill and chives. Whenever I prepare this sauce, I can’t stop eating it, so the recipe makes a bit extra, to ensure there is enough for Robert and our guests! Check out my Fresh and Flavorful Spring Menu, featuring my Poached Salmon with Cucumber Dill Sauce alongside other scrumptious spring dishes! 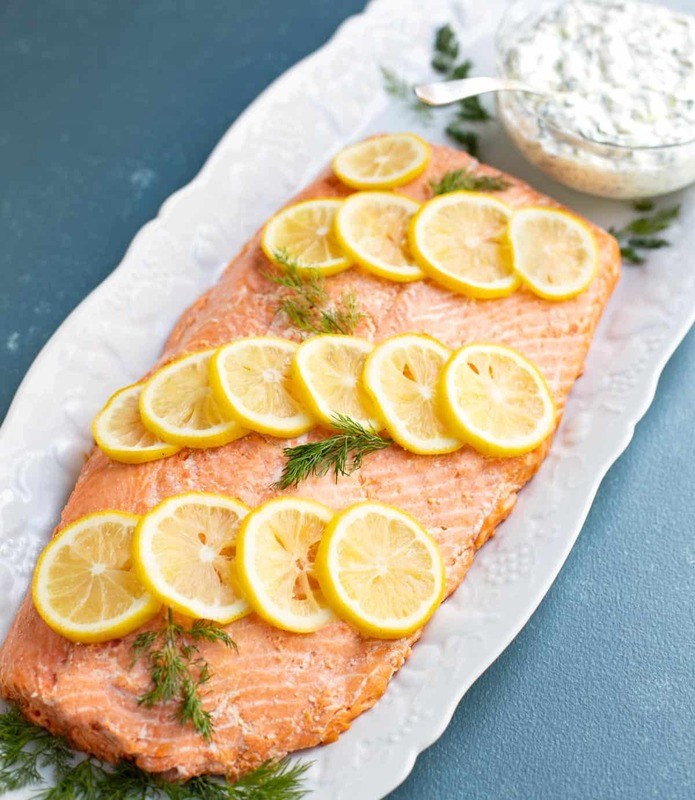 Pretty Poached Salmon with a flavorful Cucumber-Dill Sauce – the perfect make ahead, spring entrée for a luncheon or dinner party. Peel, seed and grate the cucumbers. Place in a dish cloth, roll up and squeeze/ring out as much moisture as possible. Set aside. In a medium mixing bowl, whisk together the mayonnaise, sour cream, mustard and lemon juice. Stir in chopped dill and chives. Remove grated cucumber from cloth and stir into mayonnaise mixture, along with the salt and pepper. Cut a piece of cheesecloth large enough to wrap the salmon completely. Line a glass baking dish large enough to hold the salmon in one layer with the cheesecloth. Lay salmon fillet(s) on cheesecloth. Spread lemon slices over top of salmon. Top with sliced onions. Scatter peppercorns over the top. Place bay leaves evenly on top. Fold over cheesecloth to cover completely and tuck in sides. Pour wine over the top. Bake for 30 to 40 minutes, or until an instant read thermometer inserted in the thickest part of the fillet reaches around 125 to 130 degrees. Using two large flat spatulas, carefully remove fish from pan and place on a cutting board to cool. Once cool, wrap in plastic wrap and refrigerate. 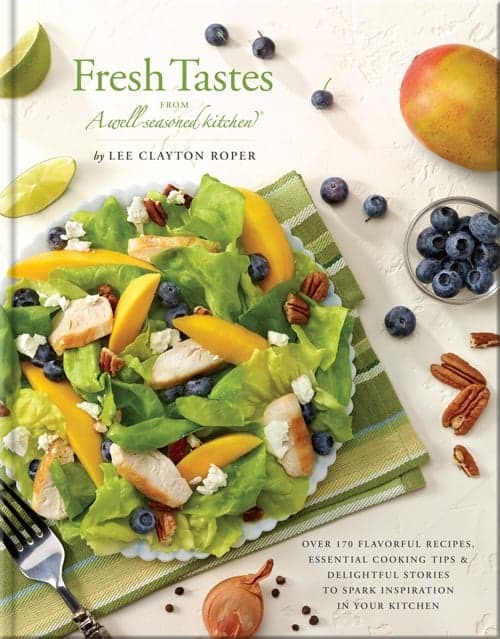 When ready to serve, remove cheesecloth, bay leaves, onions and peppercorns. Carefully remove lemon slices and set aside. With a damp paper towel, gently wipe off any white residue on top of salmon. (It’s coagulated protein and it’s fine to eat, it just doesn’t look pretty!) Using two large flat spatulas, move salmon to a serving platter. 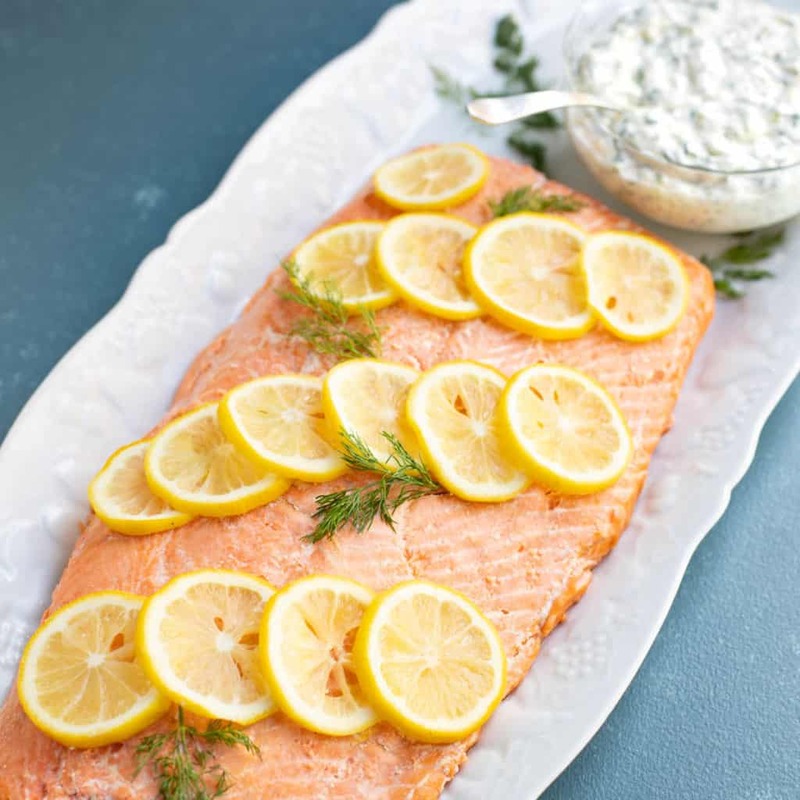 Wipe any white residue off of lemon slices; arrange decoratively on top of cooked salmon (see photo). Garnish with fresh dill. Place cucumber sauce in a bowl and serve on the side. Variation: Instead of one large fillet, substitute 6 to 8 individual fillets. 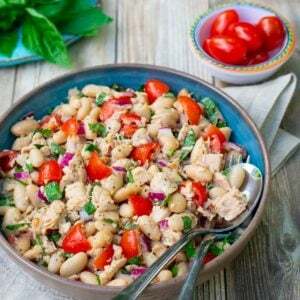 Reduce cooking time to 15 to 20 minutes. Make ahead: Cucumber sauce can be made up to 2 days ahead, covered and refrigerated. Salmon can be poached up to 24 hours ahead, covered and refrigerated – but it’s best served within 12 hours of poaching.